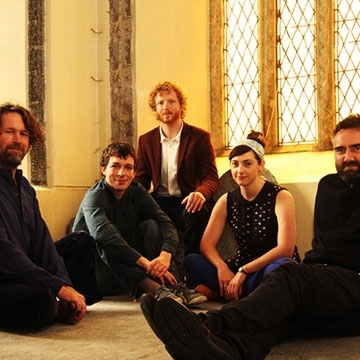 Liam Ó Maonlaí and his all-star band went on their first national tour in May 2015, performing seventeen consecutive nights in church venues throughout the country. Ré, pronounced ‘ray’ and meaning ‘moon’ or ‘era’ in Irish features some of Ireland’s most innovative and decorated musicians. Maitiú Ó Casaide, a Dublin based piper, received TG4’s Young Musician of the Year Award 2015. Cormac Begley’s concertina playing has been described by The Irish Times as ‘a master class in timeless musicianship’. Peter O Toole from Dublin adds a depth of musicality and sensitivity to this eclectic group.